Lifelong resident of Morton Grove. Loving mother of Ann and mother-in-law of Barb Connolly. Grandmother of Lisa Adelman and LORI Bacall. She was preceded in death by her son Joe and husband John, her parents Anna and Peter Haupt, her sister and best friend Marion Haupt Leider, brothers Shoey and Bob Haupt. 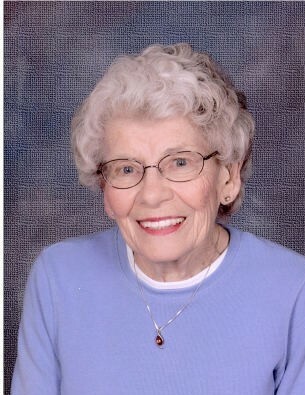 Dottie had a wonderful life filled with travel, sports, good friends, loving family and fun. She love to sing and laugh and eat, especially anything chocolate. She was also a lifelong Cubs fan. She leaves behind a lifetime of memories for all who knew her, especially her loving nieces and nephews and her secret sister Dolores Borst. She would say her secret to her long life was having dessert after every meal and 3 Oreos with milk before bed. Donations in her name can be made to St. Martha Small Church fund 8523 Georgiana Ave. Morton Grove, IL 60053 or the Morton Grove Historical Society-Haupt-Yehl House P.O. Box 542 Morton Grove, IL 60053.